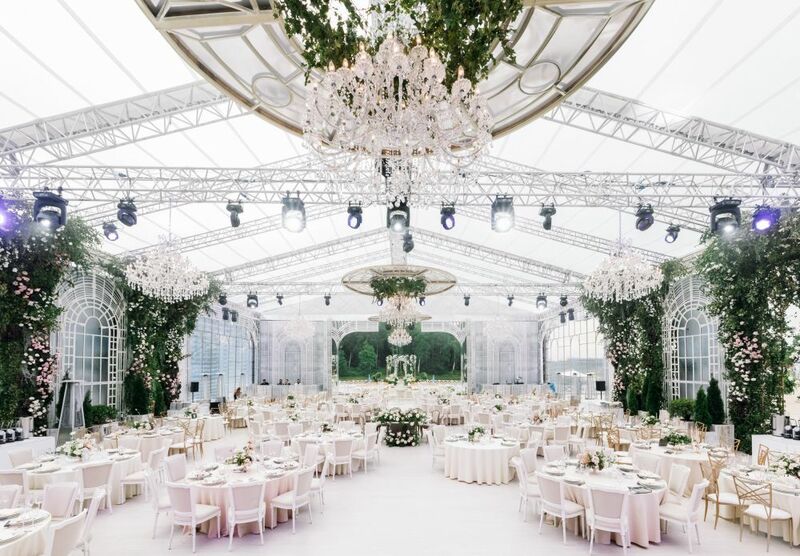 On July 14, the wedding of the famous singer, musician, businessman, first vice-president of the Crocus Group of companies Emin Agalarov and the Russian model Alena Gavrilova took place. We show how the main wedding event of this summer passed. Alyona chose a refined style: a minimalist dress, a long veil. The second image - a short dress with a translucent top and long sleeves. The groom was dressed classically - in a black tuxedo. 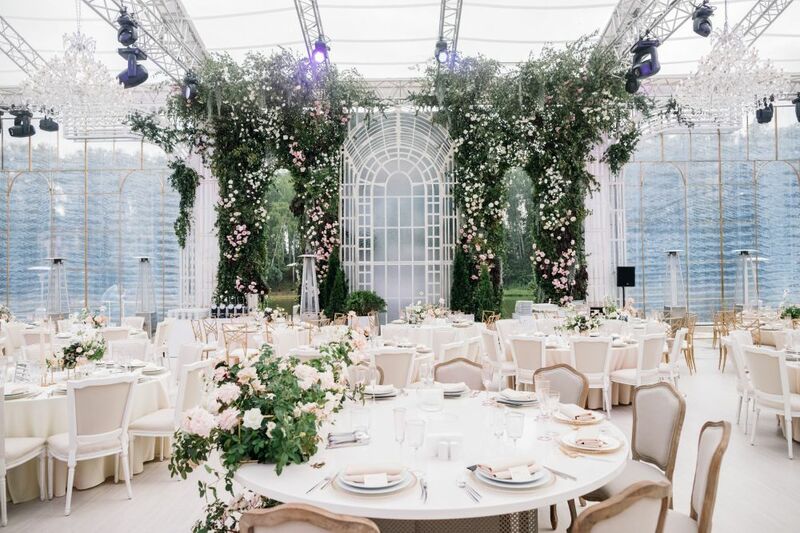 The decoration of the event was entrusted to the company About You Décor, who created an elegant design that supports the atmosphere of the gala evening. 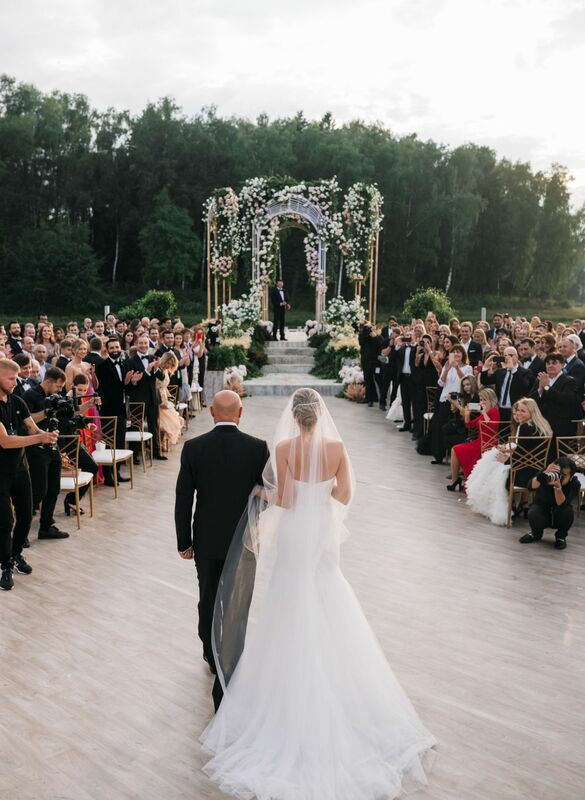 The celebration was held at the golf club Agalarov Golf and Country Club outside Moscow, where friends and close people were invited. Valery Meladze, Denis Klyaver, Katya Lel and other famous pop stars came to congratulate the newlyweds. The host of the evening was Alexander Slesarev, the host of the ceremony - Andrey Malakhov. 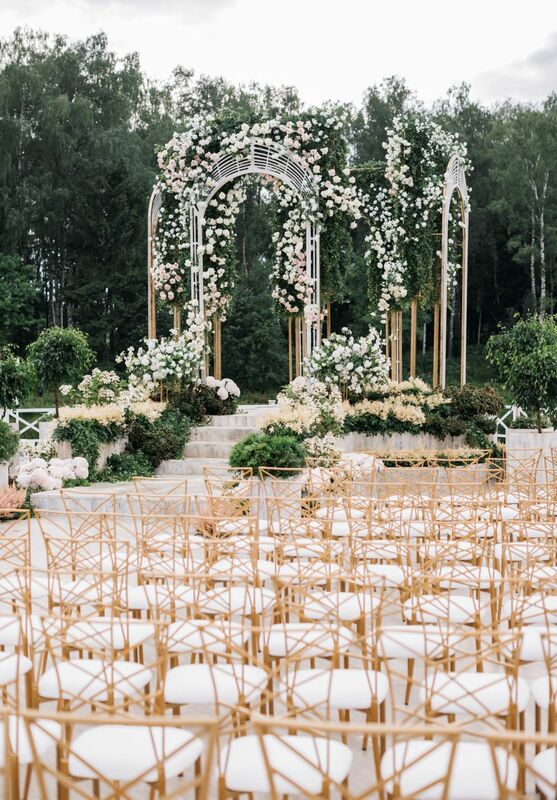 The holiday turned out to be chamber, but touching: Emin and Alyona brought each other vows under the arch of white roses and peonies.